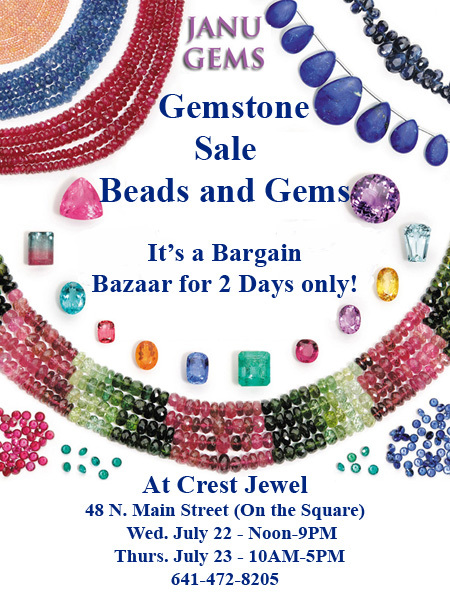 The Janu Gem Sale has begun. It is all set up and we'll be open late tonight, Wednesday!!! and Thurs. July 23 10AM - 5PM. Sapphires - Blue and Yellow!! !